Using basic code, internet security consultant, Ron Bowles, collected and published limited personal data on nearly 100 million Facebook users to the file-sharing website PirateBay.com. Shared as a downloadable file, it contains the URL of every searchable Facebook user’s profile, their name and unique ID. Unsurprisingly, the file has spread rapidly across the net. Mr Bowes said he published the data to highlight privacy issues, according to a report on the BBC. Responding to the news, Facebook said in a statement to BBC News, that the information in the list was already freely available online. “In this case, information that people have agreed to make public was collected by a single researcher and already exists in Google, Bing, other search engines, as well as on Facebook. “No private data is available or has been compromised,” the statement added. Davies’ protest refers to the groundswell of protest heard earlier this year as Facebook once again changed their privacy settings and made it even more difficult for users to ensure their privacy was respected. Even after another overhaul aimed at simplifying privacy settings, Facebook’s default setting for privacy makes some user information publicly available, and users have to be aware of the issues and make a conscious choice to opt-out of these defaults. 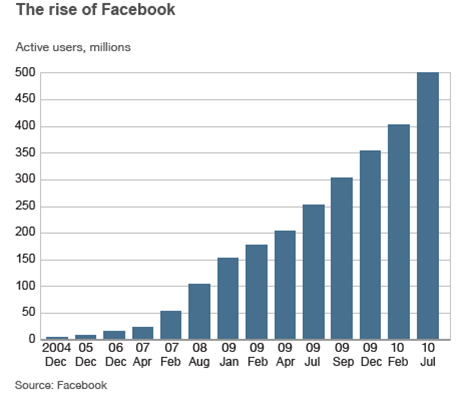 Though Facebook continues to gain users – Facebook hit the 500 million user milestone earlier this month – the sites customer satisfaction rating is in the toilet – it’s even below the IRS. In the ZDnet article Facebook bombs on customer satisfaction, says ACSI; On par with airlines Facebook was found to be in the bottom 5% of customer satisfaction among private sector companies. Speculating on why Facebook has such poor results, ACSI points to the sites privacy problems and frequent policy and site changes. 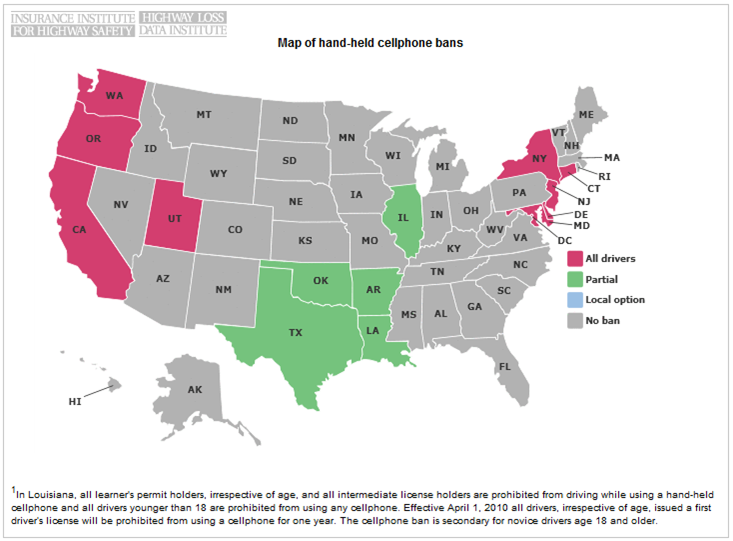 Before crossing state or county lines on your summer road trip, take a moment to learn what the cell phone laws are for any area you plan on visiting. According to the Insurance Institute for Highway Safety, talking on a cell phone while driving is now illegal in 8 states, the District of Columbia and many jurisdictions, and texting while driving is banned for all users in 30 states and the District of Columbia. 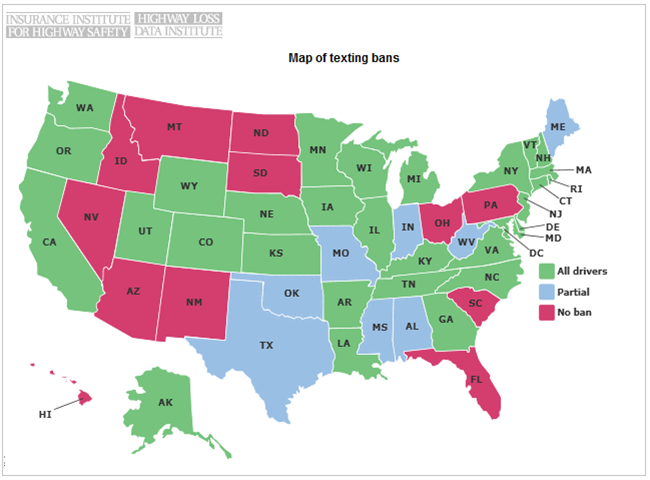 States that ban talking on cell phones when driving include California, Connecticut, Delaware, Maryland, New Jersey, New York, Oregon and Washington and the District of Columbia. In Utah, talking while driving is illegal only when the driver is also committing another moving violation other than speeding. Even where states have not implemented bans, restrictions may apply by jurisdiction. Localities that have enacted restrictions on cell phone use include: Oahu, HI; Chicago, IL; Brookline, MA; Detroit, MI; Santa Fe, NM; Brooklyn, North Olmstead, and Walton Hills, OH; Conshohocken, Lebanon, and West Conshohocken, PA; Waupaca County, WI; and Cheyenne, WY. The annual cost of crashes caused by cell phone use is estimated at $43 billion (Source: Harvard Center for Risk Analysis). This summer, may your trips be distraction free and your memories unencumbered by accidents. 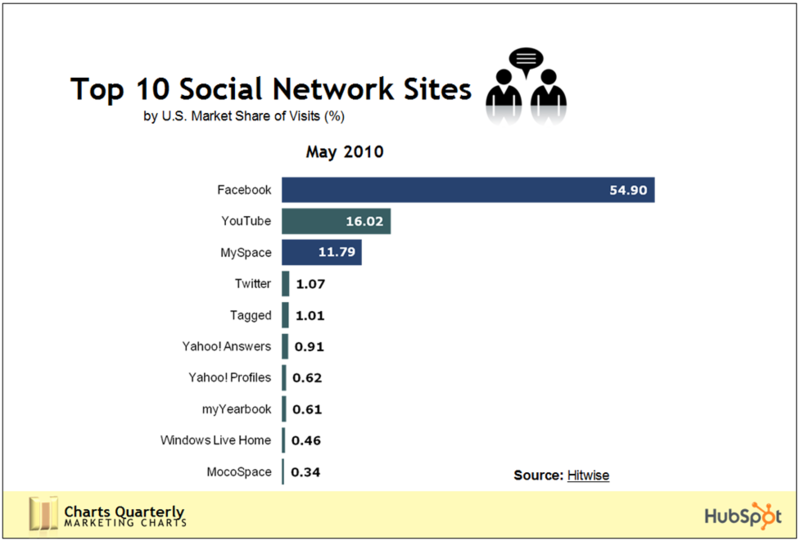 Wonder Which Sites Most Internet Users Turn To? 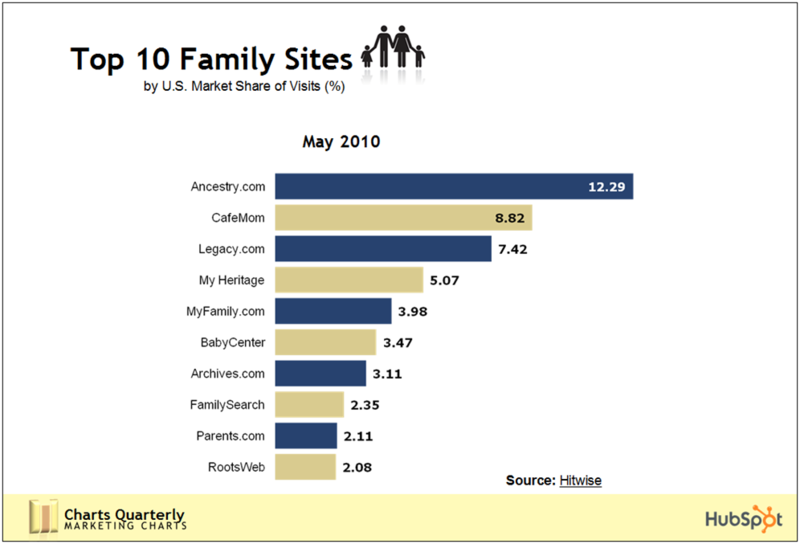 I am often asked by newer internet users how to find the sites that will best fit for them, or are the most popular. 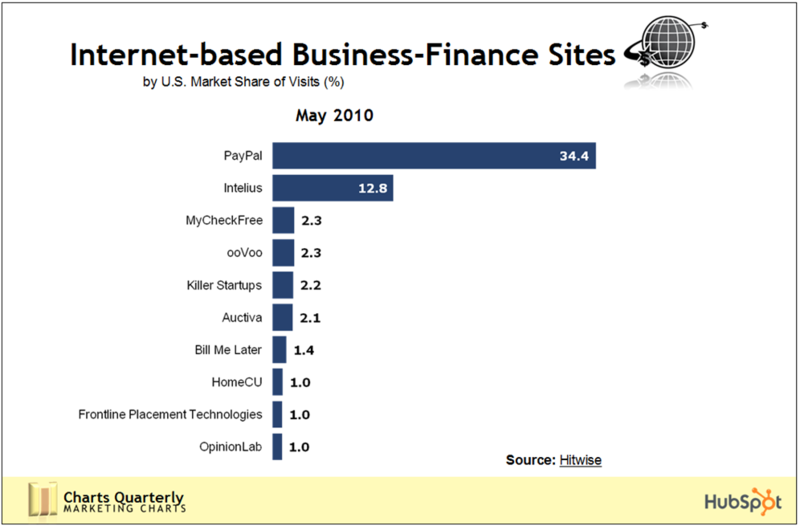 A new presentation by MarketingCharts.com gives a great snapshot of where people are going online and what they’re doing in Q2 2010. Whether this information helps you learn about new sites you might want visit, or highlights sites your kids and teens may be visiting, it’s an interesting overview of the online world. If you have kids, you can use these top-10 lists to start a conversation. 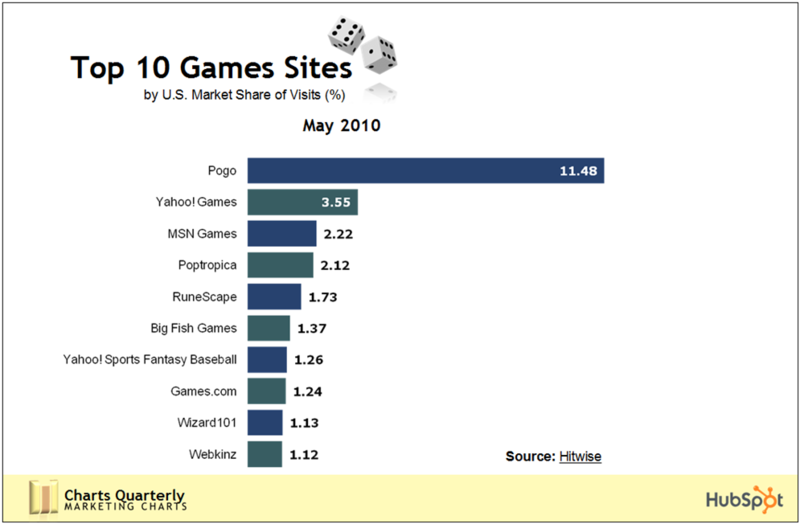 Find out which sites they use, and what they use them for. Take the opportunity to talk about how to determine which sites are reputable and provide accurate information. 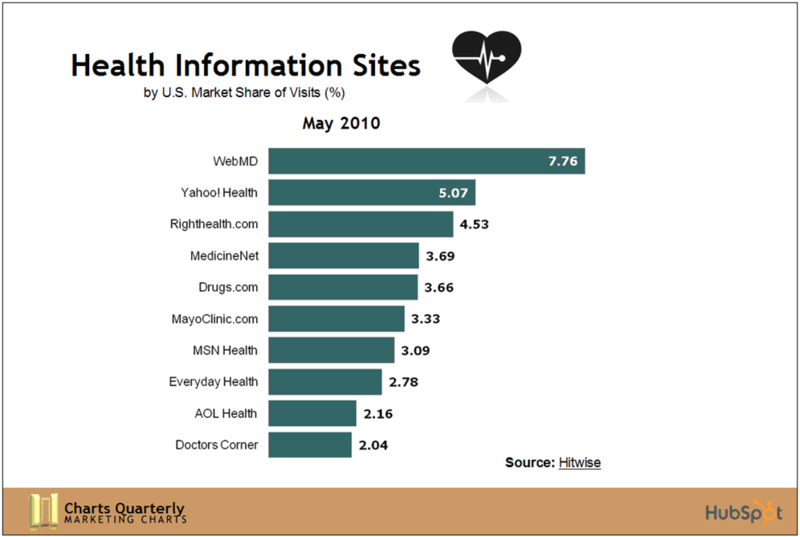 For example the reputation and accuracy of sites providing health care information is crucial, finding balanced news sites is important, and when finding sites for gaming accuracy isn’t important, you just need sites that are going to protect your privacy and won’t give you malware. Keep in mind that just because a site is popular, it doesn’t mean they make your safety and privacy a top priority. Check out any new site’s privacy and safety policies before joining. 74 percent of adults have internet access at home. 6% use dial-up Internet connections as their main form of home access. 6% are Internet users but do not use it from home; they access the Internet from places such as work, the library or community centers. The main dividing lines for broadband access fall along socioeconomic dimensions such as income and education. 82% of adults who have attended or graduated from college are broadband users at home. 91% adoption among households with annual incomes over $75,000. African-Americans trail the average in broadband access, although gaps have narrowed since early 2009. 75% of young African-Americans (30 or younger) have broadband – matching the national average. With respect to barriers to adoption, 42 percent of African-Americans say cost is the main reason they do not have broadband. For African-Americans, online access is, relative to the average, somewhat less oriented to home high-speed wireline access and more focused on mobile Internet. Nearly three in five (59 percent) African-Americans have broadband at home, but 39 percent have used the Internet on their mobile handheld device. For African-Americans, home broadband adoption trails the national average by six percentage points; for mobile Internet use, African-Americans outpace the national average by nine percentage points. Hispanics trail the average in broadband access, although gaps have narrowed since early 2009. 20% of Hispanics who took the survey in Spanish have broad­band. 65% of Hispanics who opted to take the survey in English, have broadband. Only 57% of young Hispanics (30 or younger) have broadband, far below the 75% avg. As to adoption barriers, 52% of Hispanic non-adopters cite cost, equally split between those who point to the monthly fee and those who say they cannot afford a computer. The adoption gap for Hispanics is most acute among young adults. Some 57% of Hispanics between the ages of 18 – 29 have broadband, more than 20 points below the average. And 53% of those between the ages of 30-49 have broadband, 25 points behind the average. 85% of Hispanics have a cell phone and are active users of the mobile Internet; 39% have taken advantage of online access with their handheld. 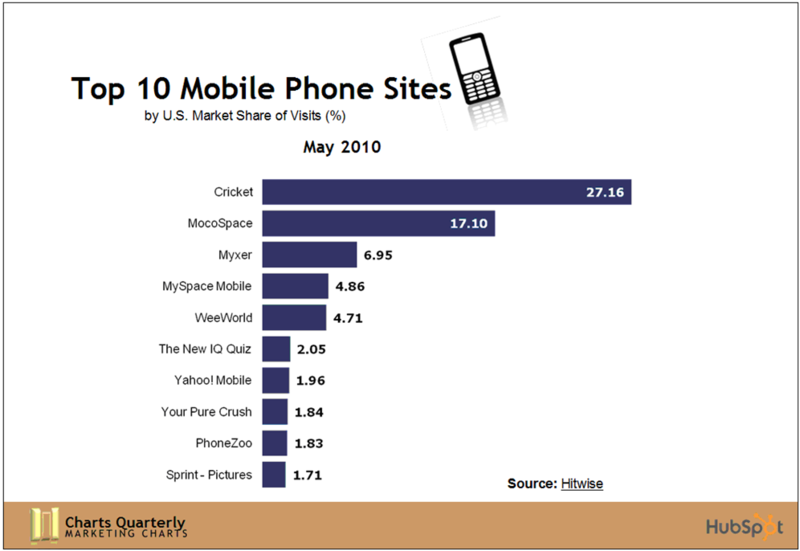 To a somewhat greater extent than African-Americans, mobile access takes the place of broadband at home. 25% of Hispanics who do not have broadband at home access the Internet using their mobile device. Among Hispanics who have used the Internet via handheld devices, 68% have broadband at home, another indication that the mobile Internet fills the wireline void for some Hispanics. 42% of Americans with disabilities have broad­band at home, just 2/3rd‘s the national average. Looking at the data differently, 39 percent of all Americans without broadband have some type of disability. 33% of respondents with a disability were over the age of 65 in the survey, and only 25% have broadband at home. At the other end of the spectrum, 33% were under the age of 50, and 57% have broadband at home—more than 20 points below average. Senior citizens with disabilities are 76% less likely to have broadband than seniors who do not have a disability. Senior citizens (over 65) continue to trail the national average in broadband adoption with a 35 per­cent broadband-at-home penetration rate. Nearly half (48 percent) of senior citizens are Internet users, regardless of connection type. 50% of rural residents have broadband, a rate that reflects in part the older and less wealthy rural population but also the lack of available infra­structure. 10% of rural non-adopters say they cannot get broadband where they live. That is more than twice the aver­age. 36% of non-adopters cite cost as the main rea­son they do not have high-speed Internet at home. 19% of non-adopters do not have broadband because they question its relevance to their lives. They do not believe digital content is sufficiently compelling to justify getting it. 17 % had home access in the past – and half of these had high speed access. 46 percent of dial-up or “not-at-home” Internet users have used a broadband connection from somewhere other than home, such as at work, school or a friend or family member’s house. 16% ask the Internet user in the home to carry out an online task at least once a week. 20% ask the Internet user in the house to carry out an online task about once a month. When it comes to outlooks toward the Internet and levels of ownership of ICT products, non-adopting Americans fall into four categories, each with different barriers to broad­band adoption. 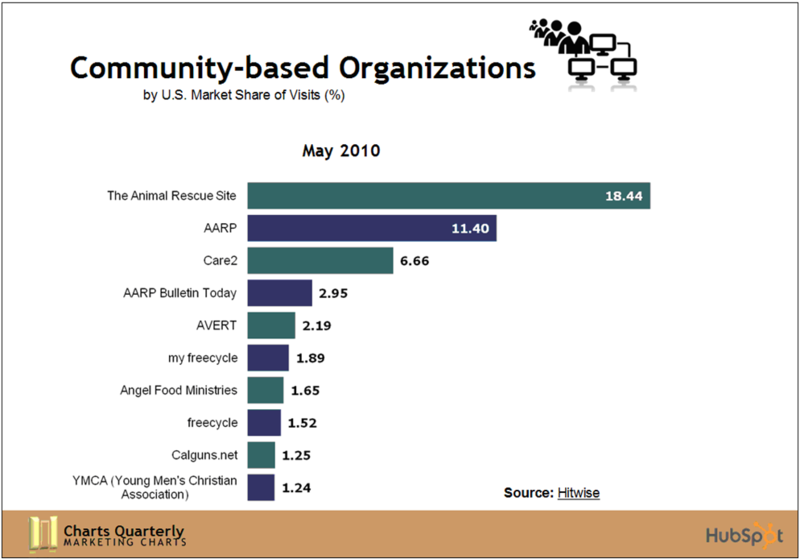 Digitally Distant non-adopters make up 10% of the general population, and do not see the point of being online. Few in this group see the Internet as a tool for learning and most see it as a dangerous place for chil­dren. This is an older group (the median age is 63), nearly half are retired and half say that either lack of relevance or digital literacy are barriers to adoption. Digital Hopefuls make up 8% of the population. They like the idea of being online but lack the resources for ac­cess. Few have a computer and, among those who use one, few feel comfortable with the technology. They are most likely to cite cost as a barrier to adoption, with affordability of the com­puter playing an important role. They are also more likely than average to say digital literacy is a barrier. Demographically, this group is heavily Hispanic (26%), has a high share of African-Americans (20%) and is low-income. Digitally Uncomfortable make up 7% of the pop., and are the mirror image of the Digital Hopefuls; they have the resources for access but not a bright outlook on what it means to be online. Nearly all of the Digitally Uncomfortable have computers, but they lack the skills to use them and have tepid attitudes toward the Internet. The Near Converts, who make up 10% of the popu­lation, have many of the same characteristics of broadband adopters. They have high rates of computer ownership, positive attitudes about the Internet and are, relative to other non-adopters, youthful (at a median age of 45). Many are dial-up or “not-at-home” users, and monthly access cost is the largest reason for non-adoption among this group. The bottom line, is that while we’ve made inroads in expanding broadband access to greater groups, it stills falls along the typical lines of the have’s and have nots – live in a town or city, have money, your health, and an education, and be under the age of 60 and you are much more likely to be set. Accessible – distributed through a wide variety of sources that reach segments with lower rates of inclusion. Eighty-one percent of the total US internet audience (More than 158 million users) viewed 21.4 billion online videos in July. The duration of the average online video was 3.7 minutes. 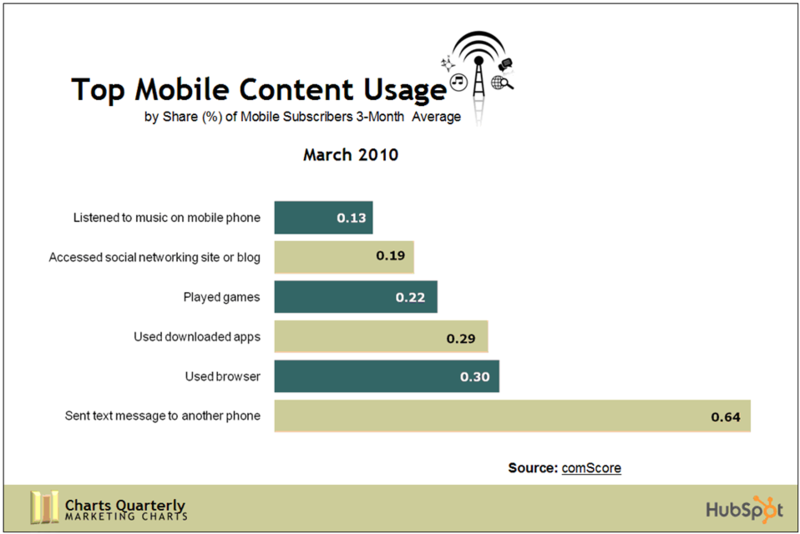 Users averaged 8.3 hours (500 minutes) viewing 135 videos according to data from comScore Video Metrix. 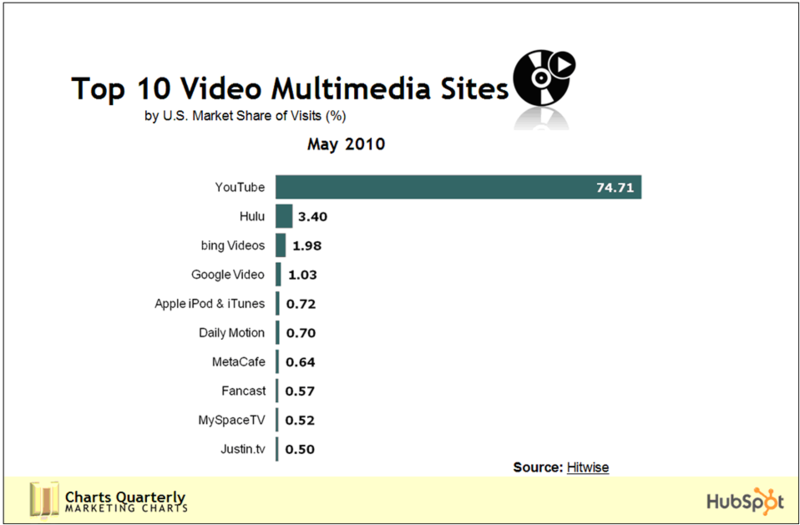 YouTube, owned by Google garnered the lions share of internet video viewing with nearly 42% of the market, equaling 120.3 million users and 8.9 billion videos on YouTube.com (74.1 videos each). 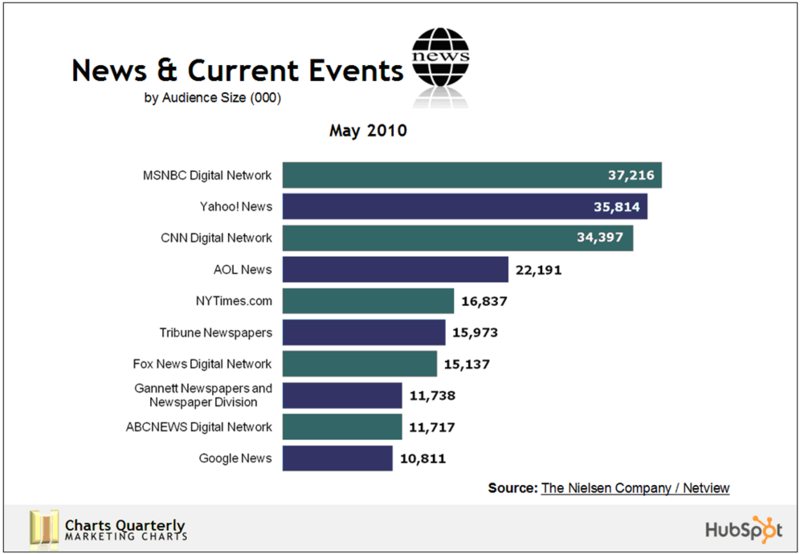 Video advertising networks also scored big. Though ScanScout ranked highest with a potential reach of 80.1 million viewers, for just over 50% of the total viewing market, Tremor video Network had the highest ad penetration at 20.1% of viewers. Though 8.3 hours of video viewing a month may seem alarming, it equates to about 16 minutes per day. If you have children who watch online video, what they watch may be more concerning than how much time they spend doing so. YouTube for example has some great content (I have content there!) that can be appropriate for various age ranges, but it also has highly inappropriate content for minors. The same can be said for other video hosting site’s content. As with everything else online – or offline – discuss what’s an appropriate amount of time to spend watching videos, and the types of content that you feel are worthwhile for minors in your care based on their ages, maturity, and your family values. For younger children you may consider using a family safety tool that filters content on the fly to block inappropriate video, or for the youngest kids use a product like Totlol that pulls appropriate content from YouTube that is submitted, screened and rated by parents.